This article was featured in Mississippi Folklife on April 2, 2018. Fogerty immediately turned the vehicle around and went back to the cemetery, where he met a kindred spirit, New Jersey guitar dealer Skip Henderson. In the late 1980s, another friend in the vintage guitar market, Billy Gibbons of ZZ Top, had suggested that he visit Clarksdale librarian Sid Graves at the Delta Blues Museum, a modest institution that had languished in obscurity since 1979. Taking his advice, Henderson caught a flight to Memphis and met a musician friend of Gibbons’ by the name of Nancy Apple, who, much like Virgil in the Divine Comedy, served as his guide down Highway 61. The New Jersey blues enthusiast was certainly struck by the state’s rural flatness and natural beauty. He was also disturbed. 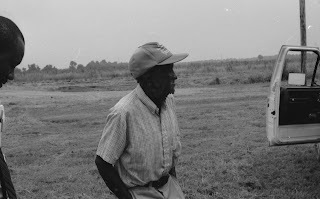 Scarcely able to come to grips with the depressing level of poverty in the Delta, he tried to locate some of the graves of blues singers on his depressing sojourn. Most of them were not marked, however, and some of his heroes were buried in abandoned or awful places. He had come to Mississippi and, as one Mississippian put, “he had been swallowed up.” Thus, in 1989, with the help of a local attorney recommended by Sid Graves, Henderson founded the Mt. Zion Memorial Fund to return some of the economic benefits from the region's musical traditions back to the Delta. 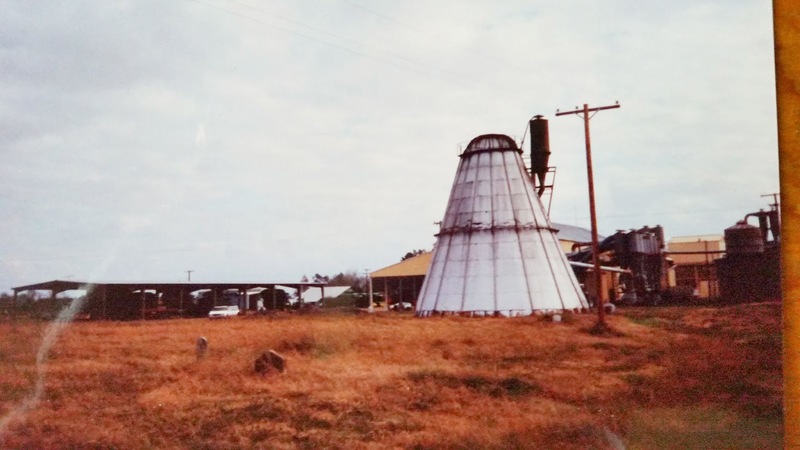 While his niece believed that a marker had been erected by Vocalion Records after 1934, a local resident who attended the funeral told one Patton biographer that contractors may have removed it when expanding the nearby cotton gin and that Patton’s remains were underneath the gin’s lint incinerator. In the early 1980s, with thunder rolling and lightning flashing in the distance, two researchers were trudging through the overgrown cemetery at sundown, when one of them felt a distinct chill come over his body in the left far corner of the graveyard. Standing not far at all from the lint incinerator, he was certain that he had found the unmarked grave of Patton. 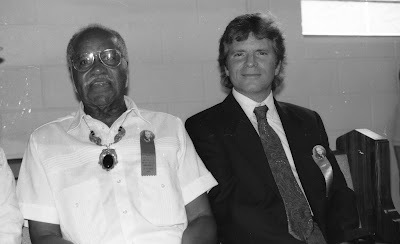 In the early 1990s, Skip Henderson was not aware of the intuitive locating of the gravesite when he arrived in Holly Ridge and associated cemetery with the nearby New Jerusalem Missionary Baptist (MB) Church; thus, he tracked down the longtime cemetery caretaker, Joseph “Cootchie” Howard, who recalled where the blues legend had been laid to rest back in 1934. Having been ten-years-old at the time, he walked right out to the cemetery and pointed out the unmarked grave of Patton. Indeed, the grave was not too far from where the lint incinerator once stood, as it had been blown down in a storm the previous year. It was almost exactly where the intuitive researcher had been overcome with a chill on a stormy evening ten years prior. “I was personally influenced by Howlin’ Wolf,” admitted Fogerty, but “when I discovered that Patton was the root of it all, I came here to Holly Ridge last year. It was then I first put a Patton tape in my boom box and when I heard his voice, it sounded like Moses. I decided then I wanted to be a part of bringing recognition to this spot." It was through MZMF founder Skip Henderson that he learned about how Patton, like the great Robert Johnson, had been buried without a headstone. “I wondered why a man so great didn't have something to mark his life on earth,” Fogerty concluded. “His influence has gone all over the world, but his name hasn't.” So inspired by the heat and emotion of that day, Fogerty later composed and recorded a song titled "110 in the Shade." Also participating in the service was “Pops” Staples, Indianola mayor Tommy McWilliams, Skip Henderson, and a choir composed of some of Patton’s great-grandchildren. Staples acknowledged that much of his early material originated in the blues style popularized by Patton. He “was a person who inspired me to try to play guitar,” Staples admits in the book Deep Blues by Robert Palmer, “He really was a great man.” Indianola Mayor Tommy McWilliams spoke of local history. He recalled “Uncle Shine who drove a white mule,” the civil rights movement, hard times, suffering, and segregation--each of which was indeed a different "part of the blues.” The New Jerusalem M.B. Church choir sang a couple of lovely hymns, “You Gave Me One More Sunny Day” and “Amazing Grace.” Patton's great-grandchildren stood before a tapestry of the Last Supper and sang, “Memories Are All I Have Left.” The concluding hymn inspired the congregation to hold hands. After they passed around the collection plates, the group adjourned and walked to the cemetery on the west side of the Holly Ridge Gin where a newly installed grave marker had been planted in memory of Patton. 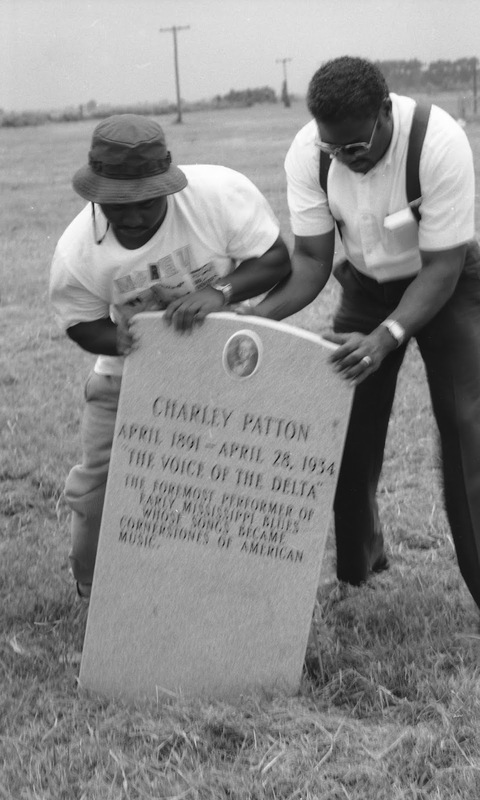 The underlying motive of erecting the grave marker was not only to raise awareness in Mississippi about the significance of Patton and the blues as the roots of contemporary popular music. Recognizing this burial ground and taking all subsequent steps to restore, preserve, and maintain abandoned African American cemeteries has been a way of repudiating, rejecting, and overcoming the residual manifestations of racism in America. The Mt. 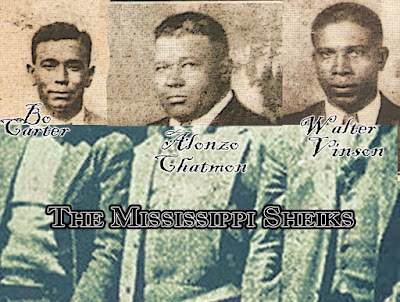 Zion Memorial Fund continues its work still today maintaining cemeteries and marking the graves of blues musicians in Mississippi. By seeking out endangered historical sites and installing “permanent” testaments to the significant achievements of African Americans, particularly in regards to the cultural impact on popular music, the monuments of the Mt. Zion Memorial Fund stand in bold contrast to other, more prominently displayed symbols of the Lost Cause. 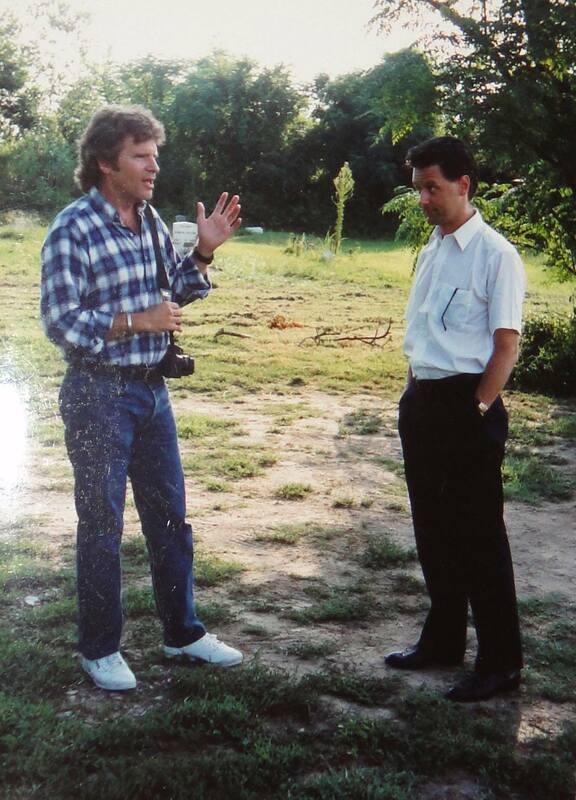 “RJ Memorial Fund Founder Preserves ‘Holy Ground’ Landmarks,” Clarksdale (MS) Press Register, Nov 24, 1990, 2B. Panny Mayfield, “Henderson Dedicates Again,” (Clarksdale, MS) Press-Register, July 17, 1991. 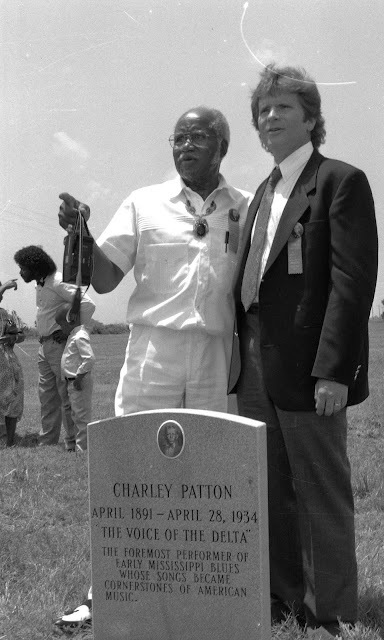 Panny Mayfield, “A Tribute to Patton, ‘The Voice of the Delta,” (Clarksdale, MS) Press-Register, July 23, 1991. H. Thorne Crosby IV, “How’s That Again,” (Greenville, MS) Delta Democrat Times, May 24, 2010. Shep Montgomery, “Pop star Pays Debt to Blues Pioneer,” (Greenville, MS) Delta Democrat Times, July 21, 1991. “New Marker Honors Patton,” Hattiesburg (MS) American, July 23, 1991. 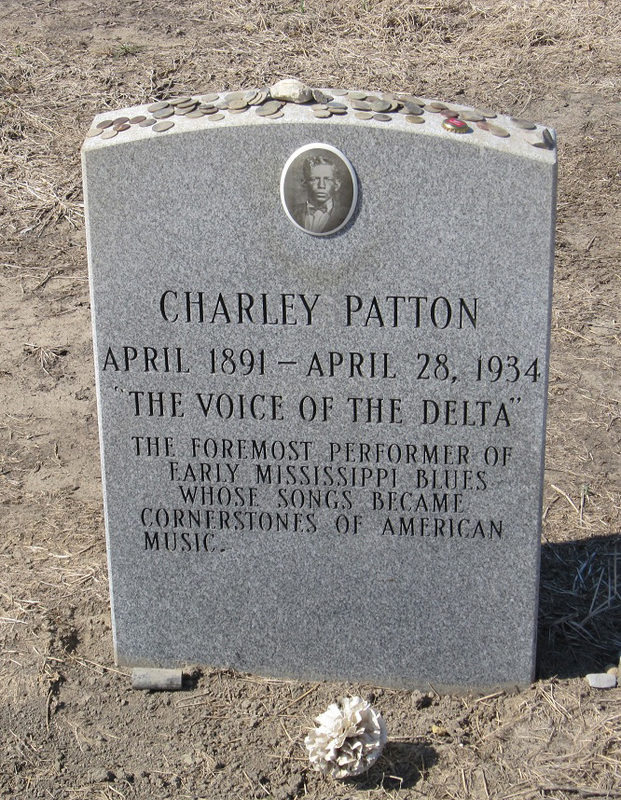 “Memorial to Charley Patton,” (Indianola, MS) Enterprise Tocsin, July 11, 1991. Doreen Muzzi, “Staples Park Fest Saturday in Drew,” (Indianola, MS) Enterprise Tocsin, July 18, 1991. 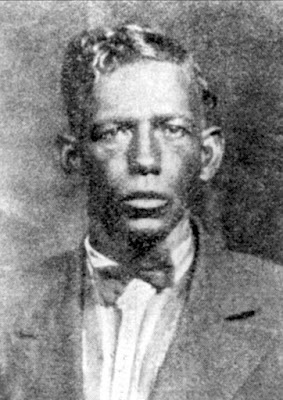 “Holly Ridge Monument Hails Charley Patton,” (Indianola, MS) Enterprise Tocsin, July 25, 1991. “Pop Staples Festival was Day of Musical Fun,” (Indianola, MS) Enterprise Tocsin, July 25, 1991. Charlotte Graham, “New Jersey native Leads Preservation Fight,” (Jackson, MS) Clarion-Ledger, July 18, 1993. “Memorial Honors Blues Composer,” (Jackson, MS) Clarion Ledger, July 23, 1991. “Rock Guitarist Tom Fogerty dies at age 48,” (Jackson, MS) Clarion Ledger, Dep 15, 1990. “Blues Spirit Puts Fogerty into Music-Making Mood,” The (Nashville) Tennessean, Sep, 21, 1997, p.7. “Joseph Howard,” 1930 US Census Place: Beat 3, Sunflower, Mississippi; Roll: 1166; Page: 20A; Enumeration District: 0013; Image: 802.0; FHL microfilm: 2340901. Bessie Turner interviewed by David Evans and Bob Vinisky, Greenville, Mississippi, March 10, 1979. Ann Waldron, Hodding Carter: The Reconstruction of a Racist (Chapel Hill, NC: Algonquin, 1993). Hank Bordowitz, Bad Moon Rising: The Unauthorized History of Creedence Clearwater Revival (Chicago: Chicago Review Press, 1998). Robert Palmer, Deep Blues (New York: Penguin Books, 1981), 61. 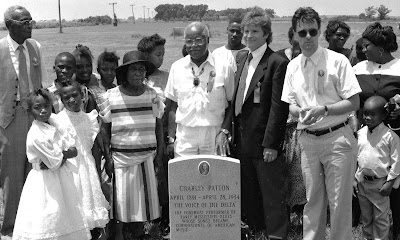 The dedication of the memorial for Charley Patton at New Jerusalem Missionary Baptist Church also brought out into the light a most ghoulish crime of cemetery desecration. After the ceremony, while different folks started discussing the destruction of headstones in Mississippi, Rev. Ernest Ware exclaimed, "Not just headstones, [but] whole cemeteries...they did it to my brother." People were shocked. Having grown "up in a town where Revolutionary War guys were buried (Rahway, N.J.), Skip Henderson admitted that he "thought cemeteries were forever," "This was mind-boggling," he admitted. "Children's graves turned into cotton and soybeans?" Click here to read more about the first legal action supported by the MZMF.